Derrick Kosinski & Scott Yager are joined by Landon Lueck. We have been trying to make this podcast happen ALL year. Landon is not on social media. Landon is not on Twitter. Landon is not on Instagram. More on that in the episode. We joked about the hashtag #WheresLandon during the early days of #ChallengeMania and we are happy that we were able to find him and bring him to the airwaves to catch up with you all. Landon drops by to tell us where he's been and why he left his ... See More Challenge career behind. He reveals whether he had any idea about the rumors that he would be on this current season and sheds light on why that might have been. We get to the bottom of his recent Instagram presence and his cameo on the Challenge account. Derrick (@DerrickMTV) and Landon reminisce about some of their battles on The Challenge and Landon reveals the hardest thing he ever had to do on the show. And of course, Scott (@SHOTOFYAGER) attempts to find out if another season, even if it's Champs Vs Stars, is still on the table! We hope this podcast lives up to the hype and the long-awaited journey to get here. We only got him for an hour, but tried to make the most of it. Hopefully it will be the first of many hours that we can bring you over the next few years. For MORE Challenge Mania visit www.Patreon.com/ChallengeMania where we drop BONUS episodes each week! 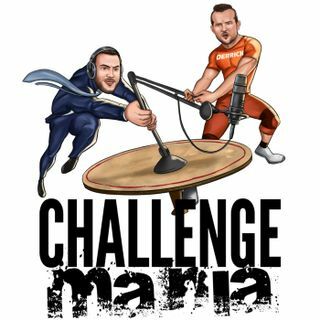 Make sure you've gone to the www.ChallengeMania.Shop where you can buy podcast gear and swag to represent all your favorite cast members!